Here in the dog section of AC Tropical fish you can find a wide range of information about alls sorts of dog breeds and even some mixed breeds. We also feature a lot of information that is not breed specific, such as general articles about dog training, dog grooming and dog health. As a dog owner, it can also be a good idea to take a look at our sections about dog law and dog insurance. A dog breed is a group of dogs that has been selectively bred in order to promote certain characteristic. The national kennel clubs determine the rules for each of their registered dog breeds and also decide if a new type of dog should be recognized as a true dog breed by them. 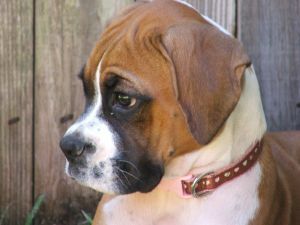 Dog breeds recognized by national kennel clubs are commonly referred to as purebreds. If you contact a kennel club, you can get breed standards for all their recognized breeds. The breed standards will normally include standards for both appearance and behaviour. The breed standard will usually state desired traits as well as accepted but not necessarily desired traits for each dog breed. Generally speaking, kennel clubs will not accept a new dog breed until the breeders can show that mating a pair of the new type always produces dogs with the same characteristics as the parents. This is referred to as breeding true. Before you get a dog, it is important to research that particular breed in order to find out if the breed characteristics fit your requirements and lifestyle. If you get a mixed breed, you should ideally research all the involved breeds since each ancestor can contribute a bit to the result. It is for instance important to find out how big your dog can become, since a lot of large dog breeds end up in shelters each year when the owner finds the dog to large to handle. If you want have a small dog, pick one of the many small dog breeds or purchase a mixed dog breed where all the genetic material comes from small dog breeds. One important thing that you have to determine before you pick a dog breed is how much time you wish to spend on coat maintenance. 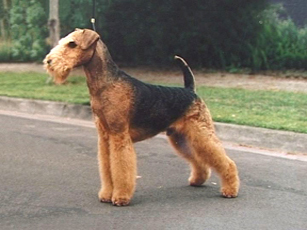 Some dog breeds need daily combing, others need regular trimmings and clippings, and a third group of dog breeds are very low maintenance. Simply looking at an adult dog will not tell you much, because there are short haired dog breeds that require quite a lot of grooming and long haired dog breeds that only need some basic maintenance work once in a while. In the dog breed profiles here at Dog Breed HQ you can learn more about the specific requirements of each breed before you make a decision. It should also be noted that the amount of necessary grooming can varies within a breed, since several different coat types can be allowed. Even if your dog has a virtually carefree coat, you should still groom your puppy regularly since this serves to make your new dog comfortable with you handling it. Teaching a Rottweiler puppy to accept having its nails trimmed is much easier than trying to convince an adult Rottweiler that clipping is actually a good idea. You should also groom and check your adult dog on a regular basis to detect health problems while they are still in their early stages. During the tick season it is a good idea to check you dog at least once a day, since the risk of tick borne illness increases for each hour the tick is allowed to stay attached to the dog. As you can see, there is no such thing as a completely carefree dog breed. When discussing dog grooming, the question about so called allergy free dog breeds almost always comes up. The increased number of people suffering from allergies has made many dog breeders interested in creating dog breeds that can be tolerated by people allergic to dogs; so called hypoallergenic dog breeds. It is however very important to keep in mind that no dog breed is 100% hypoallergenic. A hypoallergenic dog breed tolerated by one of your allergic friends might not be tolerated by you and vice versa. Before you decide to get a hypoallergenic dog breed you should ideally spend quite a lot of time with the dog breed that you are interested in, to make sure that you have no reaction. Sometimes prolonged indoor exposure is necessary to provoke the initial reaction. Examples of dog breeds commonly referred to as hypoallergenic dog breeds are Bichon Frisé, Spanish Water Dog, Xoloitzcuintle and all the Poodle varieties. The length of the hair or how much a dog breed sheds will not tell you much about the suitability of a certain dog breed for people with allergies since a majority of the people suffering from dog allergies and asthma are allergic to skin dander, not to dog hair. The learning capacity and interest in following commands varies a lot between the various dog breeds and it is therefore a good idea to decide which type of dog breed you want in this regard before you make a purchase. Since the dog is a social pack animal, it has a natural desire to cooperate with its pack. When dogs and humans started to live together thousands of years ago, the human family became the pack for the dog and all dog breeds are therefore more or less inclined to work together with a human pack. Through thousands of generations of selective dog breeding, this natural inclination was refined to suit the needs of humans and the dog became an excellent companion for hunters, herders and fishermen. Today, some dog breeds are extremely good at interpreting signals given by humans and can be trained to carry out very complicated tasks. Other dog breeds have had a different history and are therefore less inclined to understand humans. Some toy breeds have for instance been bred as cute companions only and are, generally speaking, not as easy to train as Labrador retrievers, Dobermans, Springer spaniels and similar working dog breeds. Regardless of which type of dog breed you choose you should however provide it with basic dog training, which includes house training and basic obedience training. It might be tempting to simply pick one of the “clever” dog breeds that always end up in the top-ten when the trainability of dog breeds are ranked, but this is not the best way to go about. If you get a highly trainable dog breed (colloquially referred to as a smart or intelligent dog breed) such as the Border collie, you must be prepared to actually teach it a lot and keep it busy all day. A Border collie that is not constantly getting mental stimulation, e.g. by herding sheep or training agility, will grow bored and can develop destructive habits. If you only plan on house training your dog and teaching it a few basic commands it is better to chose one of the many dog breeds that will receive sufficient amounts of mental stimulation from a few walks around the neighbourhood and some playtime in the park. Since the genetic material is more limited in purebreds compared to mixed breeds, the risk of genetic problems is often higher. Before you get a dog it is a good idea to find out if the dog breed in question is inclined to any particular health problems. This can help you spot early signs of ill health in your dog and seek veterinary attention before the problem gets a chance to progress. You can also greatly reduce the risk of genetic problems by purchasing your dog from a reputable dog breeder that only uses vet-checked dogs screened for common genetic diseases. 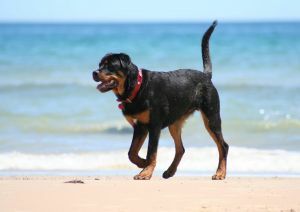 If you purchase a mixed breed dog, ideally research potential health problems present in all the involved dog breeds.